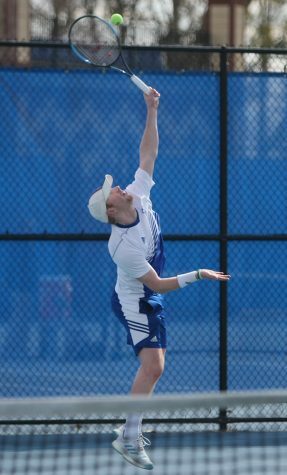 Freddie O’Brien returns a hit during the Eastern men’s tennis team’s 7-0 loss at the Darling Courts against Belmont in March of 2018. 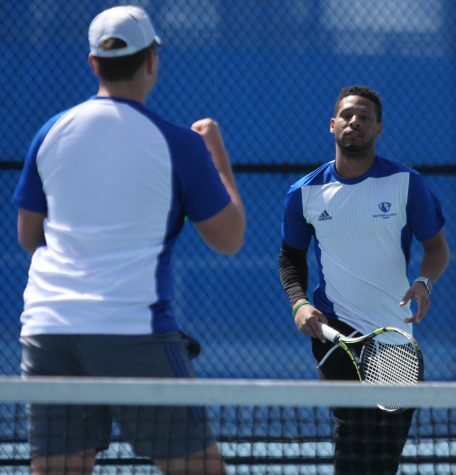 Since the start of 2016 spring season, the Eastern men’s tennis team had four wins, and ever since they’ve had added one win from the previous season. Fast forward to 2019, and the Panthers have already tied its win total from last season, just 10 matches into this year. Eastern currently stands at 6-4 on the campaign after another successful weekend winning three of five matches. 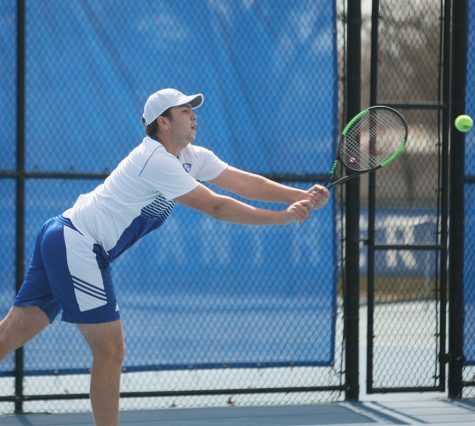 The Panthers downed Illinois Wesleyan 9-0 and overcame a 10-year losing streak to Wright State defeating them 4-2, while also topping Saint Francis in a 7-0 sweep. It has been a completely different season for Eastern in large part after head coach Chris Tolson and assistant coach Mike Munguia took over the throne. With those expectations from Tolson, he said there’s still things that need some improvement. 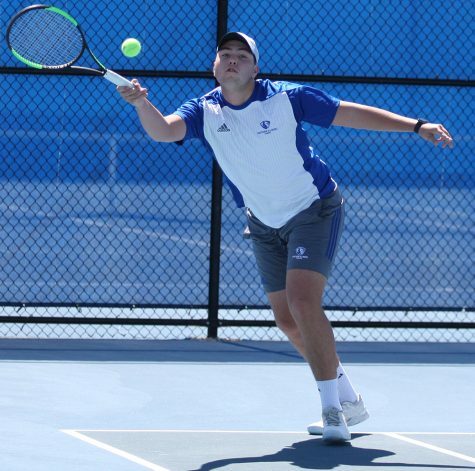 One player for Eastern who has seen his matches increase is junior Braden Davis, who is one win away from tying his win mark from last season, and he says that all has to do with the coaches. 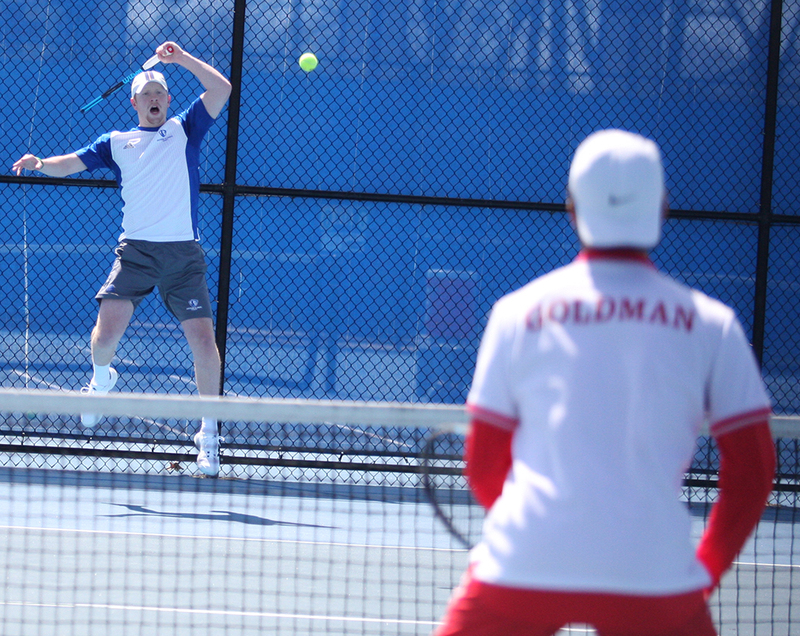 And those results keep showing up, with junior Freddie O’Brien posting three singles wins at the No. 1 singles, cinching the win against Wright State and earning two wins as a doubles team with sophomore Logan Charbonneau. 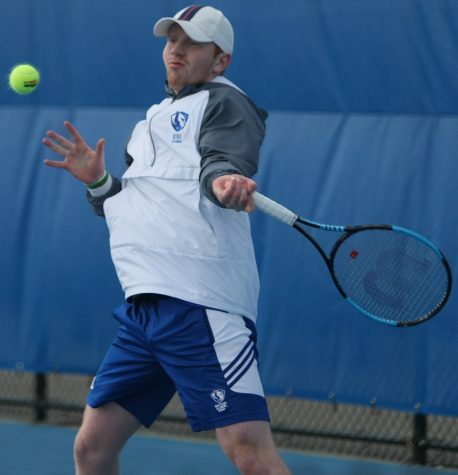 Charbonneau, on the other hand, has enjoyed his successful season, picking up two more singles wins and notching three doubles wins with O’Brien. The results may be favoring the upperclassmen, but sophomore Mike Jansen continues to produce for this men’s team, also racking up three singles wins this past weekend, and sophomore Daniel Hernandez and Jansen are a dominate force as a team, winning three doubles matches as well. Jansen said he is not satisfied because he believes the team can do so much more. It’s been a season the Panthers are enjoying for sure, but before the season, the team’s goal was to win the conference championship. 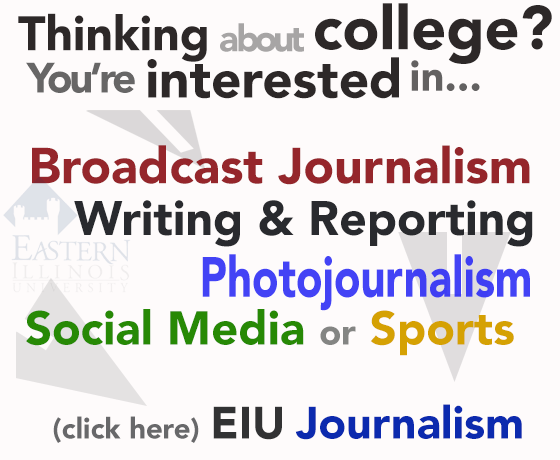 Eastern continues its long trip with Valparaiso Friday at three and University of Illinois at Chicago Sunday at one.